This beautiful town and resort on the east coast of the island is popular with families and those looking for a quieter destination. Santa Eularia (in Catalan) or Santa Eulalia (in Spanish) is Ibiza‘s third largest resort town, located in the municipality of the same name. It is particularly notable for its beautiful sandy beach with the maritime promenade, whitewashed houses, yacht marina and selection of restaurants and markets. 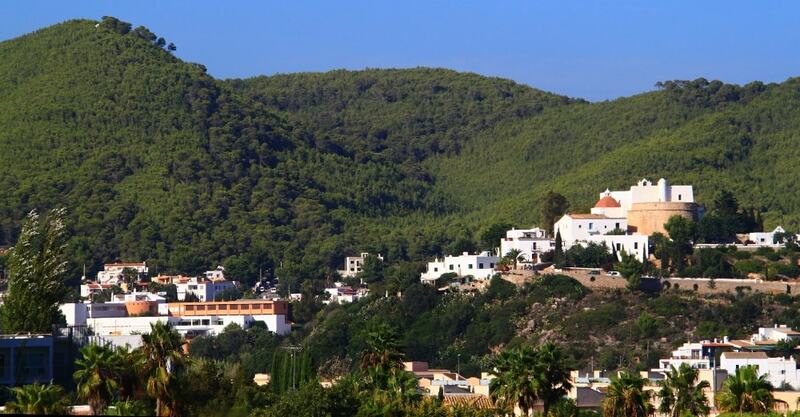 Santa Eulalia property owners can make the most of this idyllic setting in a relatively secluded part of the island. Properties in the area are mostly represented by renovated authentic and modern Ibicencan fincas. Houses are mostly situated in a truly peaceful and idyllic setting, surrounded by lots of land with palm trees. Second-home buyers are enjoying this the laid-back atmosphere yet being just some twenty minutes away from the hustle and bustle of the Ibiza Town. 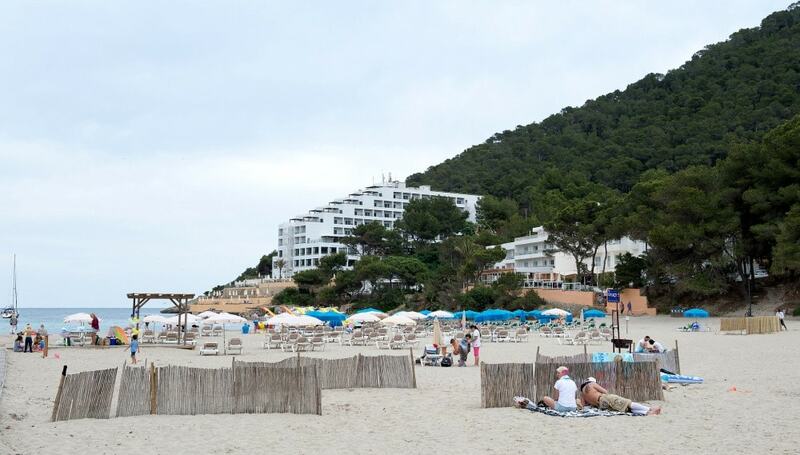 Prices on Santa Eulalia property market are significantly lower than Ibiza’s average. An average price for a house is Average price per sqm. in Santa Eularia €5,533 -1% properties#: 183 last change on: 23 Apr 2019 €5,533 per square meter and for an apartment it is around Average price per sqm. in Santa Eularia €3,954 -1% properties#: 163 last change on: 23 Apr 2019 €3,954 per square meter. If you’re interested in investment opportunities, the current price per square meter is Average price per sqm. in Santa Eularia €5,129 0% properties#: 32 last change on: 23 Apr 2019 €5,129 . There is a premium value on the top of the average selling price for a house with a privileged view of the Mediterranean Sea. 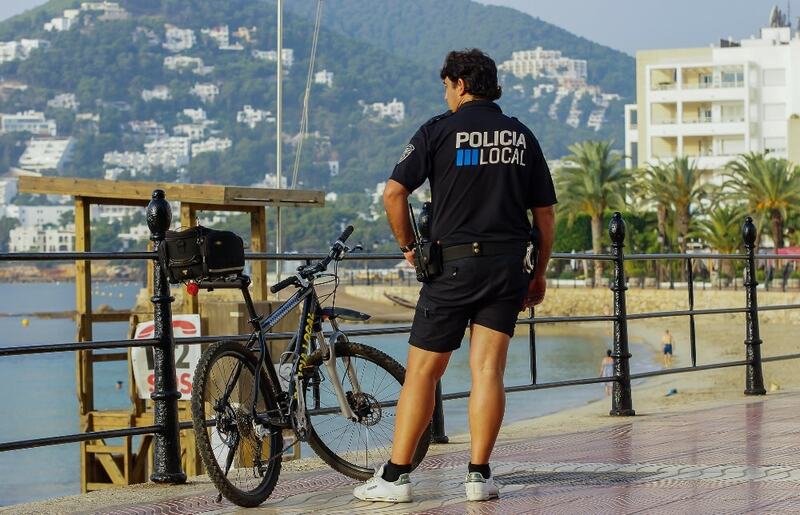 The most active agencies on Santa Eulalia property market are Adaix with the highest number of listings, followed by Ibiza Properties for Sale and Bracamonte & Mühlberger. International property purchasers also value its close location to the airport (approx. 10 km). The Morna International College is just a stone’s throw away, which makes the area an ideal place for families with children too. Also, it takes only 11 minutes to get to the Golf Club and just a few minutes’ walk from the nearest beach. The town and its spotlight, the 16th Century parish Church, have been built on the Puig de Missa hill. With its semi-circular arched watchtowers, the Church’s architecture reminds of a medieval fortress. Remarkably, in the town, you find the only river on the Balearic Islands with a constant flow. Although in dry summer season it has no water, in historical past, it was vitally important for the development of the region. The waters of the river turned the wheels of a whole network of four mills and irrigated the large expanses of cultivated land. 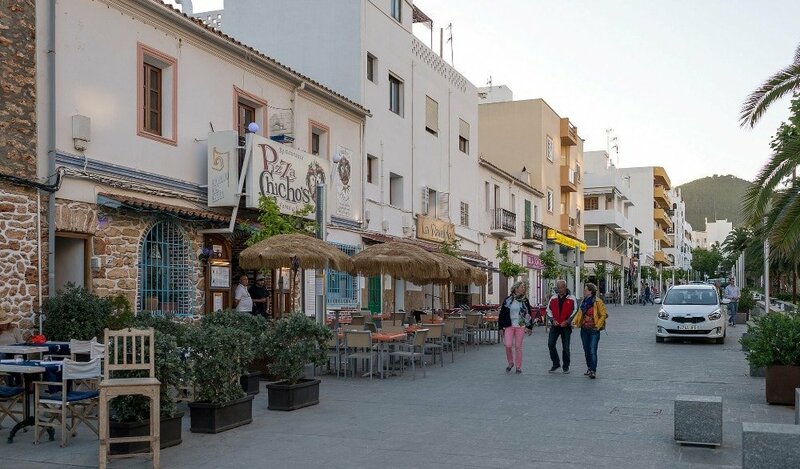 The centre of Santa Eularia has grown most during the last two decades. 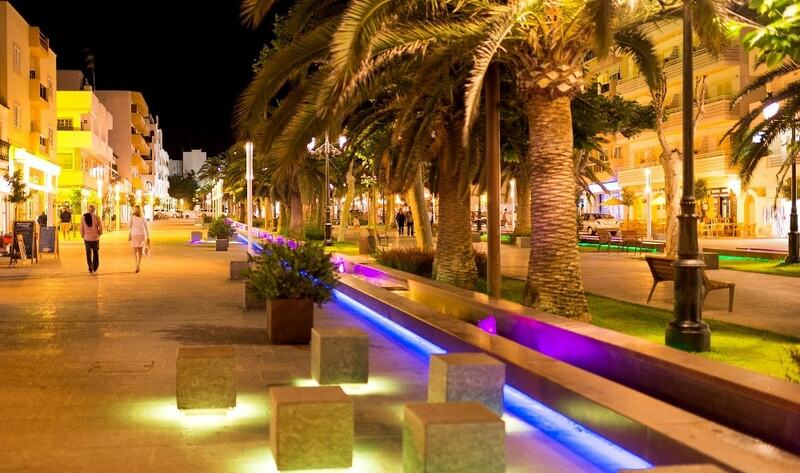 The resort area features a charming central square and palm-lined avenue that leads right to the beautiful seafront promenade. The Paseo de s’Alamera, as it is called, is the town’s busiest area and a social hub that gets very crowded. Its central location makes it easily to extend the sunbathing on the beach to dinner and drinks in the town. Here, you also find some hotels and residential properties. The long sandy beach of Platja de Santa Eulalia is especially popular for a family holiday and among all year present British expat community. Whether it is simply sunbathing, swimming or water sports, it provides a real fun in the sun. The clear and shallow water make it especially perfect for children and snorkelling. To refresh and unwind, the beach is also sprinkled with bars and restaurants. 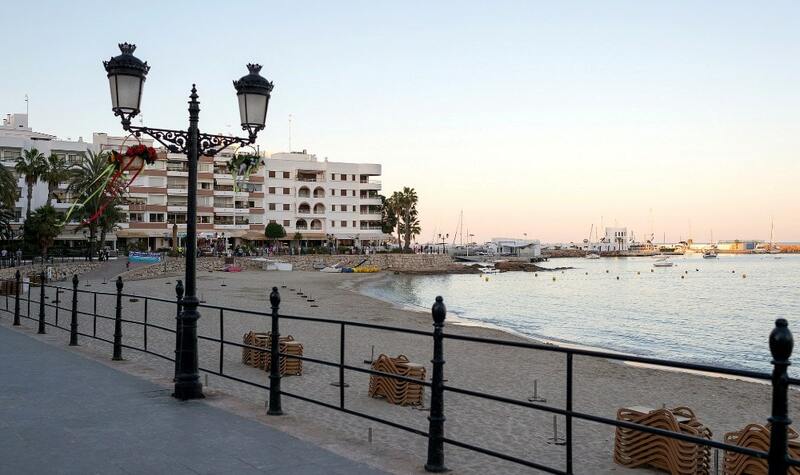 You’ll also find a great range of other sandy beaches around Santa Eularia boasting an array of water sports such as windsurfing, sailing and jet skiing. This former small fishermen village has eventually become a gastronomic and cultural centre of the island. The entire street of Calle San Jaime is aimed at restaurants with a variety of dining options. Here you find it all, from traditional Ibicenco and Mediterranean cuisine options to Asian cuisine and everything inbetween. It is the perfect spot for a chilled out evening and quality dining in a friendly, family atmosphere.